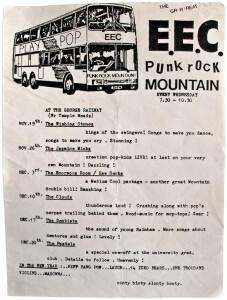 A flyer from November 1986, advertising upcoming events at the EEC Punk Rock Mountain; which, I discovered on a trip back to Bristol the other week, is now flats, rather than the slightly peculiar country and western pub in the middle of a traffic island that I remember so fondly. 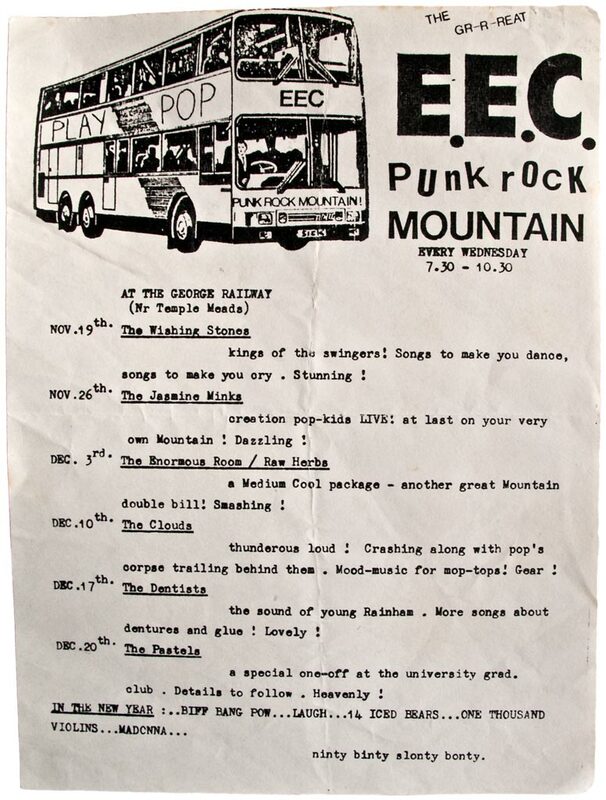 And, frankly, so badly – my only real recollections of the gigs listed here are that The Clouds were ace and that The Jasmine Minks were completely spooked by the mirrors that lined the rear wall – given the size of the bar, they were effectively staring at themselves for the entire duration of their set. 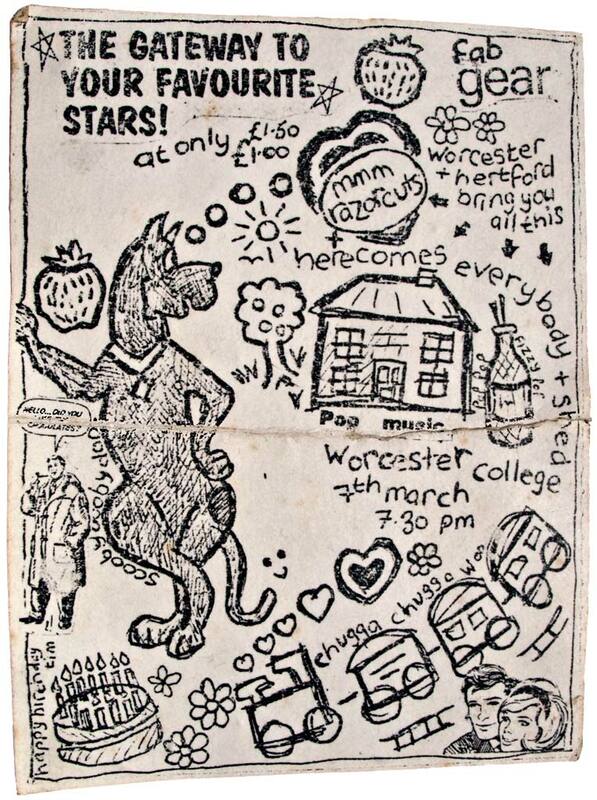 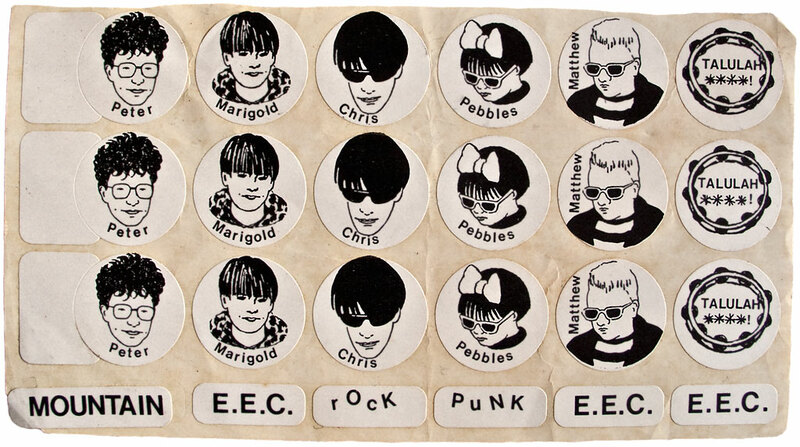 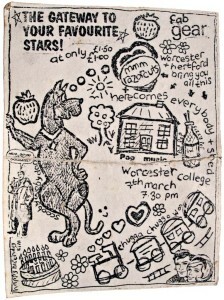 Younger readers might also like to know that only four of the bands on this flyer were any good; I’m afraid you’ll have to decide which for yourselves. 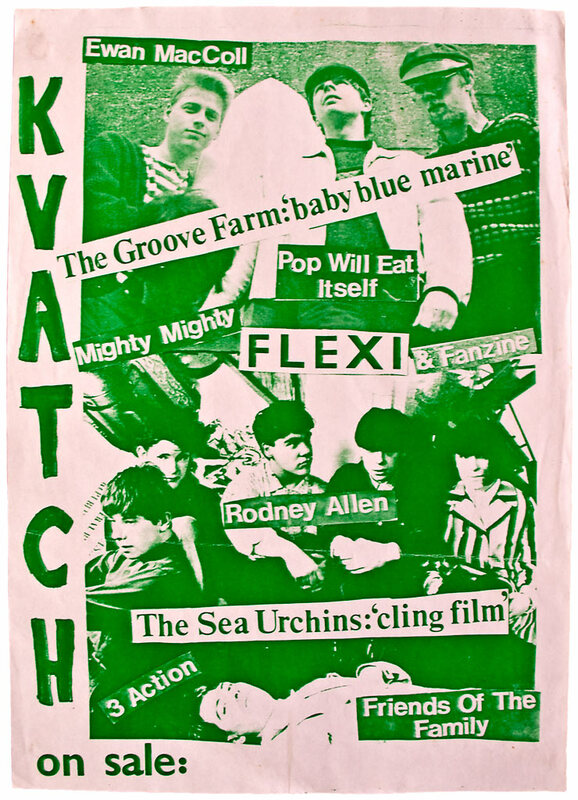 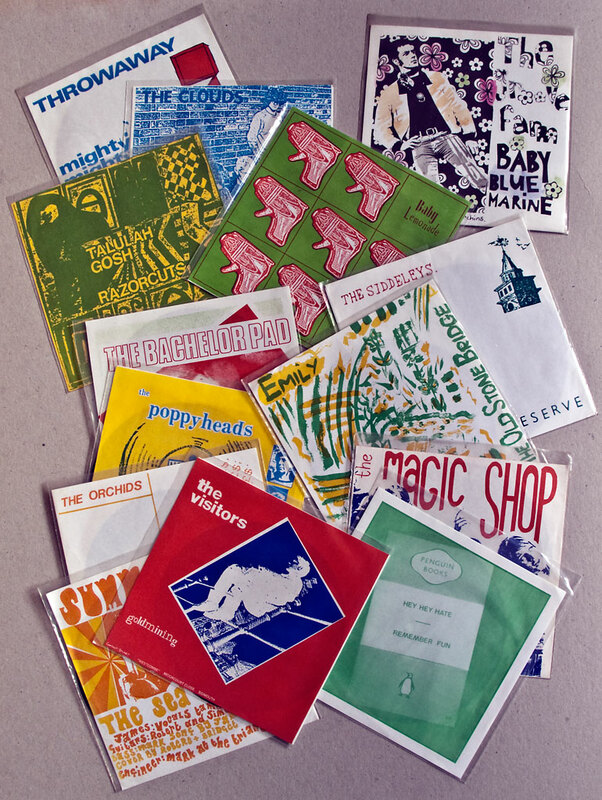 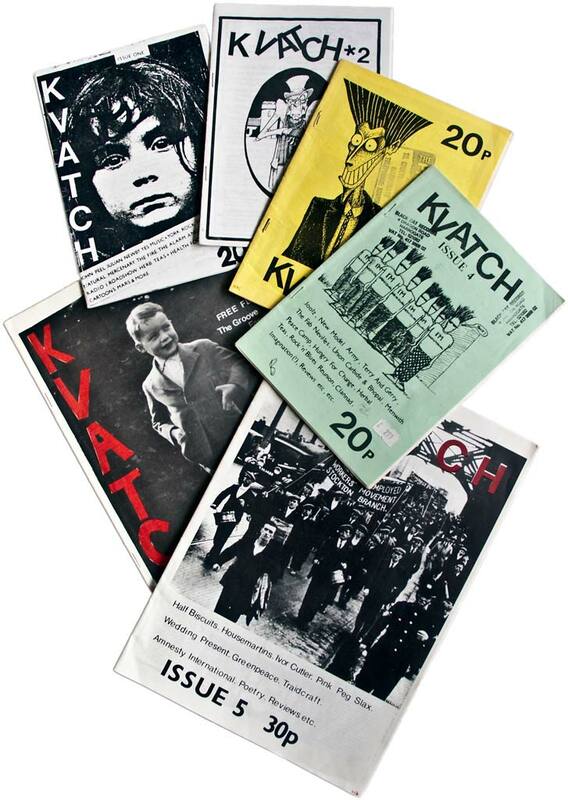 A poster for the last issue of Clare’s pre-Sarah fanzine Kvatch, which came with a flexidisc featuring Cling Film by The Sea Urchins and Baby Blue Marine by Bristol’s Groove Farm (see here for a picture of the flexi in its handpainted sleeve). 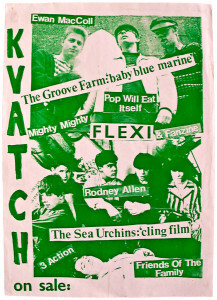 The Sea Urchins are the band in the bottom half of the poster. Of the other bands mentioned on the poster, Mighty Mighty’s Throwaway was on the first Sha-la-la flexidisc, and Friends of the Family morphed into Pram. 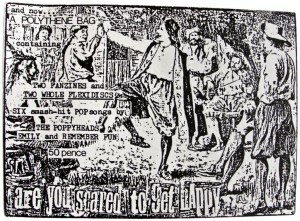 A flyer for issue 6 of Are You Scared To Get Happy and its two Sha-la-la flexis, one of them the Poppyheads’ 4-song Postcard for Flossy EP – yes, a 4-song 6½” flexi. 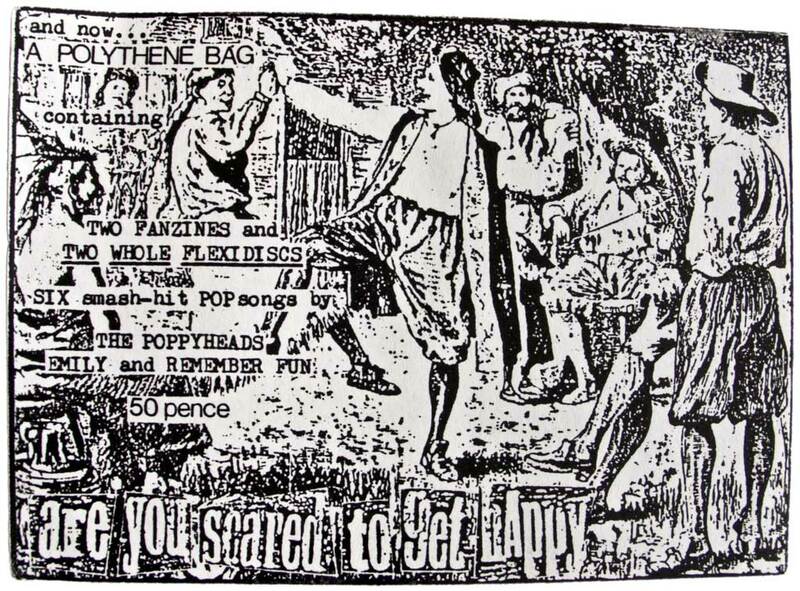 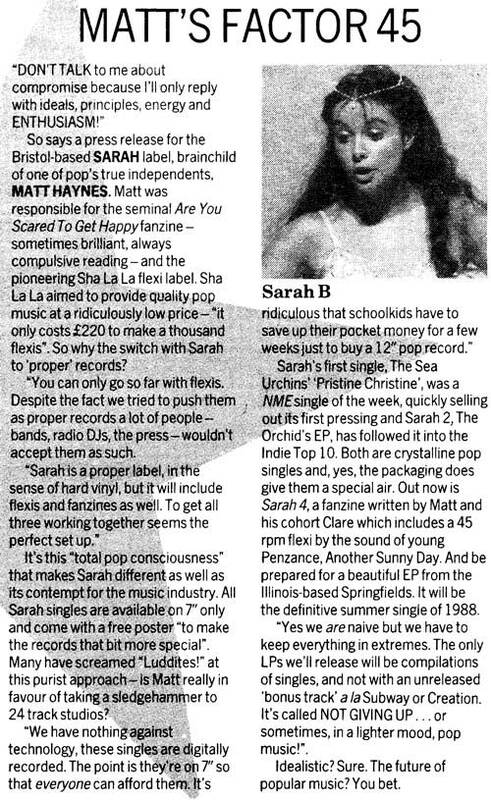 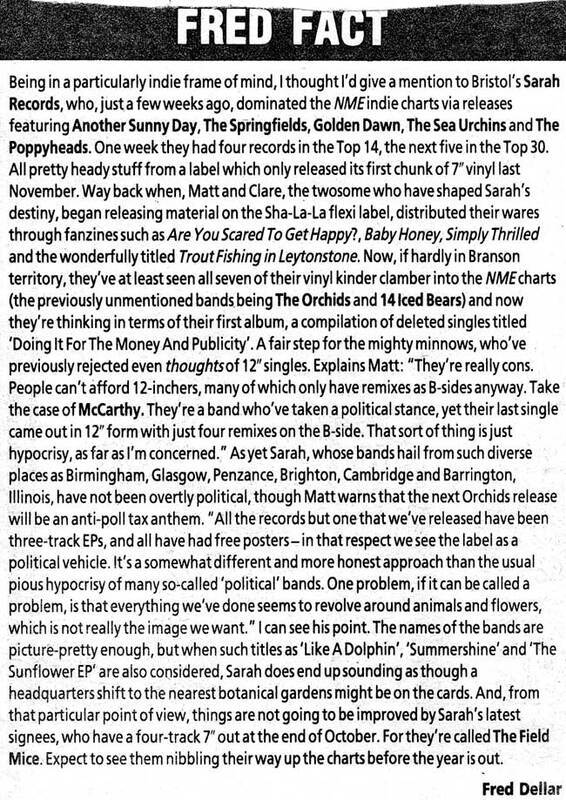 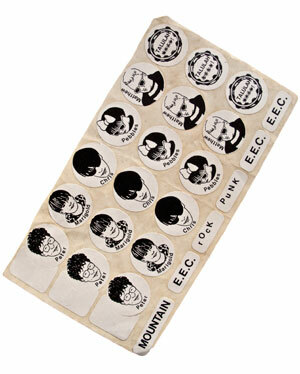 The Poppyheads later recorded for Sarah, obviously, while Remember Fun had two tracks released by Egg and a retrospective EP on Matinee. 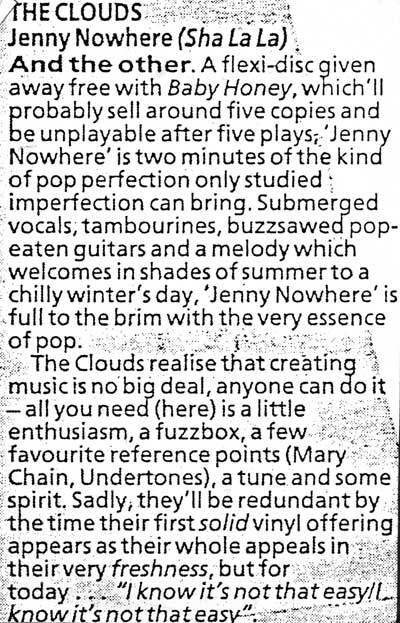 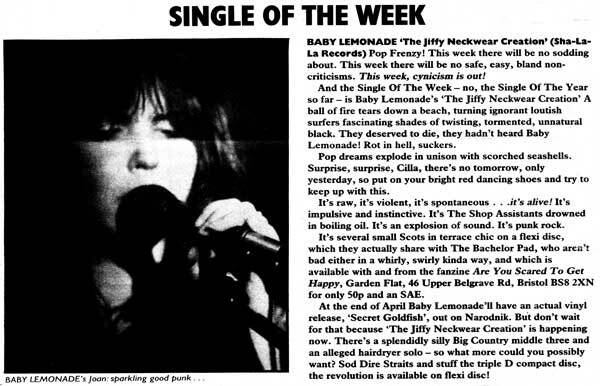 Emily’s 4-song Irony 12″, meanwhile, was not only the 50th single on Creation but also much heavier than our flexidisc, as many journalists pointed out at the time.